Yelena Shimonova is currently an attorney at Phillips Law Group, P.C., handling workers' compensation cases. She was born in Tashkent, Uzbekistan. Her family immigrated to the United States in 1990. 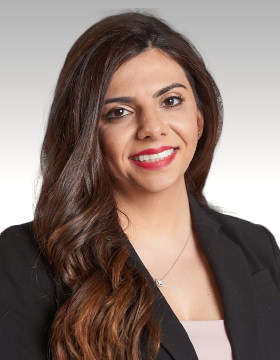 Yelena obtained her Bachelor of Science degree in Kinesiology with a Minor in Psychology from Arizona State University and went on to hold a Juris Doctor degree from Arizona Summit School of Law. She is licensed in Arizona and admitted to practice before the U.S. District Court in Arizona. While attending law school, Yelena focused her studies on Alternative Dispute Resolution and became a certified mediator. She also worked as an extern at the Never Again Foundation, a non-profit organization that provides legal support to families who have lost loved ones to domestic violence. Upon graduation, she received a community service certificate recognizing her pro bono and community service involvement during law school. Yelena's goal to help others led her to practice family law, handling divorce and child custody matters. During that time, she managed nearly 70 cases and first chaired over 15 trials. Her passion for medicine and making a positive difference in her clients' lives led her to join the Philips Law Group team. During her free time, Yelena enjoys traveling and spending time with her family, friends and Chihuahua.